What Is Self-Employment Tax and Why Do San Diego Businesses Have To Pay It? So what is the self-employment tax? The new business owner will be comforted to know that the self-employment tax is not a tax paid only by the self-employed. Rather, the self-employment tax is the social security and Medicare tax that everyone pays. Those employed by others see these taxes withheld from their paycheck and in most cases without realizing that their employer is also paying a portion. The self-employed individual, on the other hand, must pay the entire amount. Essentially, your employer alter ego is paying the portion of your social security and Medicare taxes that would otherwise be covered by your employer in the conventional employer/employee relationship. 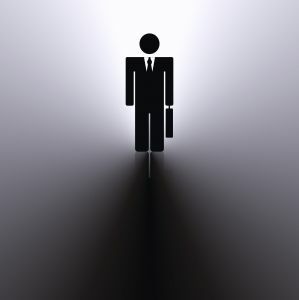 In the United States, an individual is considered self-employed for tax purposes if that individual operates a business as a sole proprietor, a partner in a partnership (including general partners in LLCs), or an independent contractor. The social security and Medicare taxes (the self-employment taxes) typically withheld from most wage earners are the equivalent of the combined contributions of the employer and employee under the FICA (Federal Insurance Contributions Act) tax structure. Under the FICA tax structure, employees and employers make equal contributions to both Social Security and Medicare. As stated, the self-employed individual pays the entire amount to Social Security and Medicare. Currently, self-employment tax in the United States is 15.3%. This rate consists of two parts: 12.4% for social security (capped after the first $106,800) and 2.9% for Medicare. Having to pay the self-employed tax can be disconcerting. However, there are some advantages. Namely, the self-employed individual can deduct up to half of their self-employment tax from their adjusted gross income. Perhaps in the future, tax laws will be amended to further encourage entrepreneurs by reducing the self-employment tax. Until then, it must be considered part of the cost of doing business.